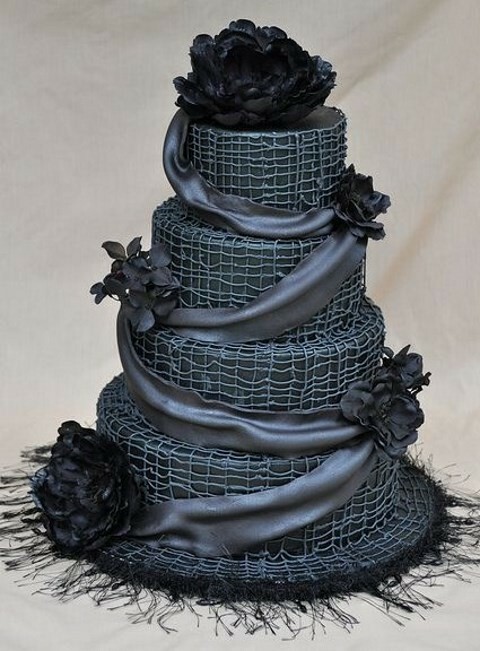 Goth and Halloweddings can’t be more popular than in fall right before Halloween! 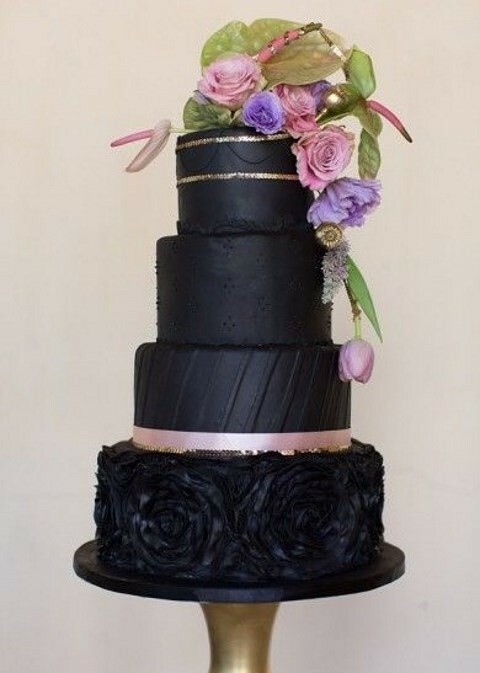 And, of course, black is on top here – black wedding dresses, black bridesmaids’ dresses, black table settings, nails and shoes. 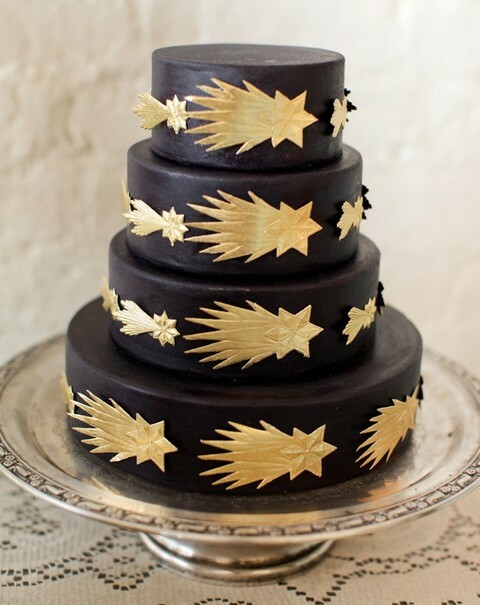 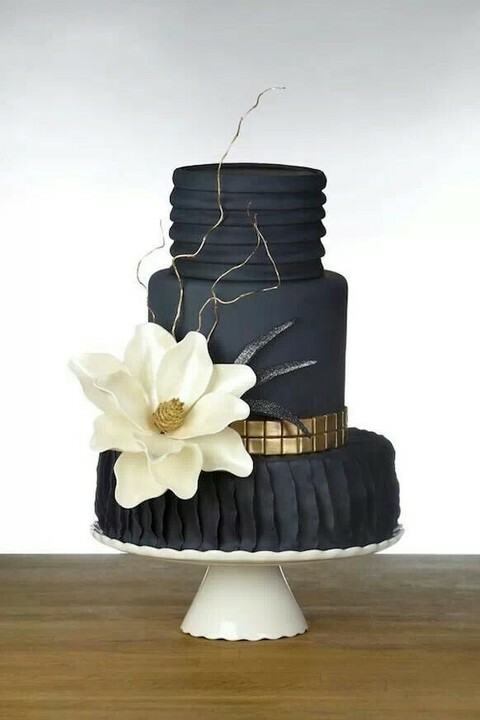 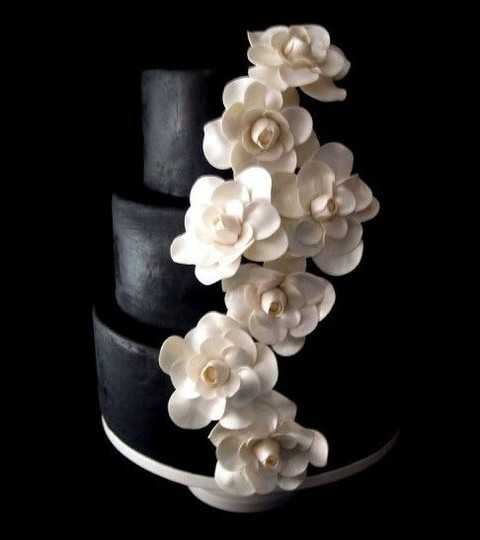 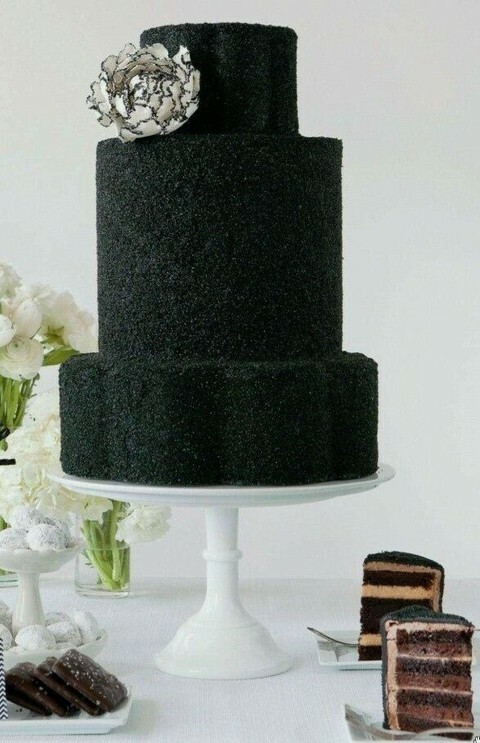 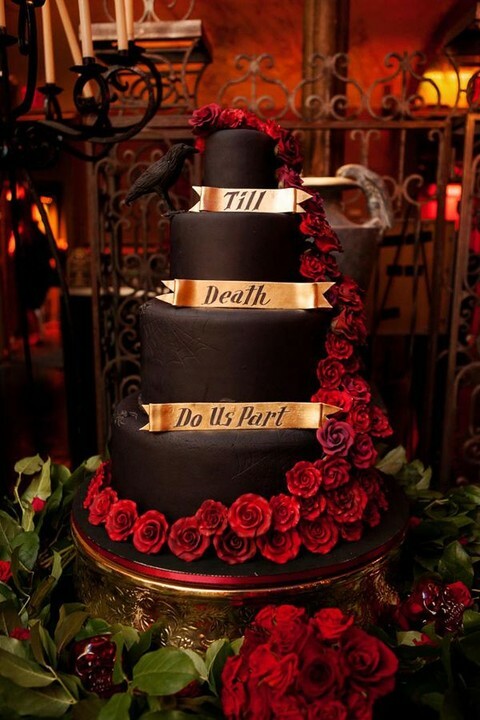 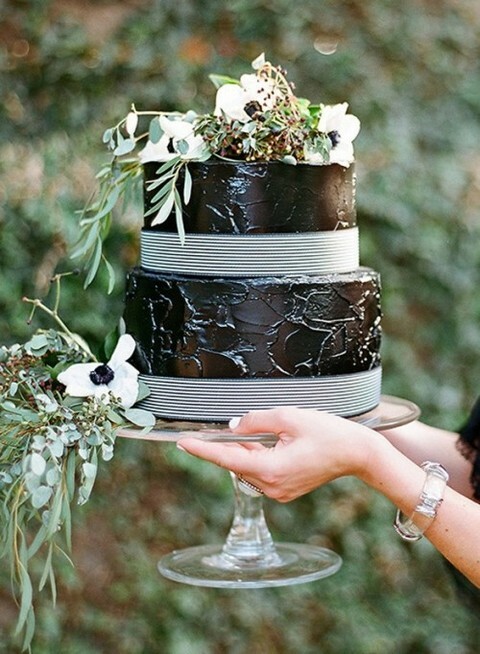 And what would you say to a black wedding cake? 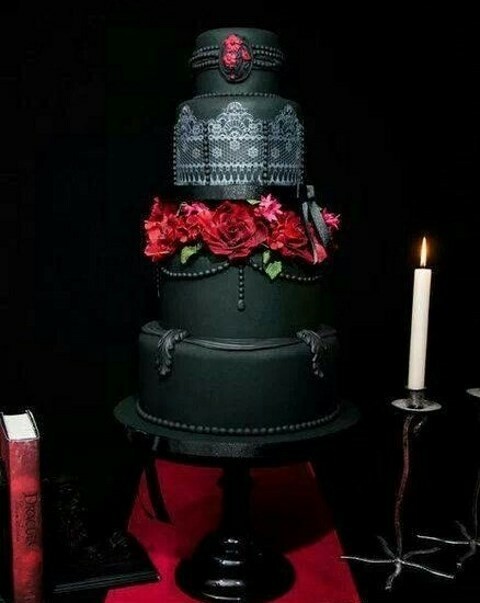 Unexpected? 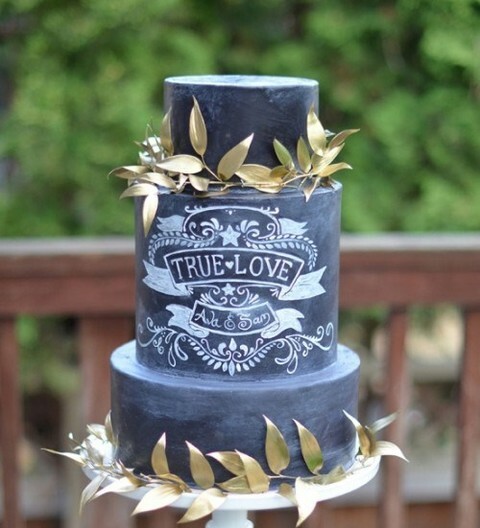 Then try it! 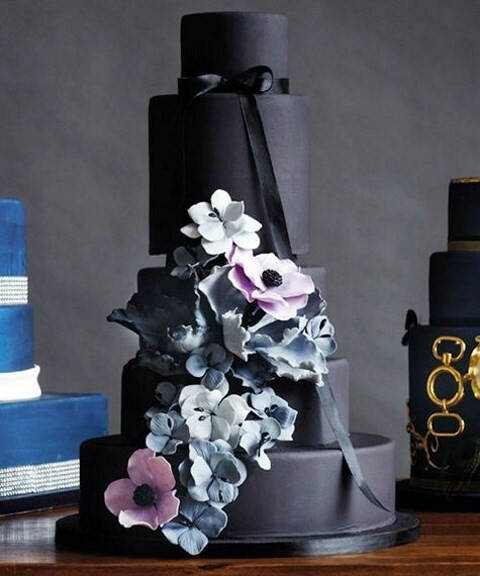 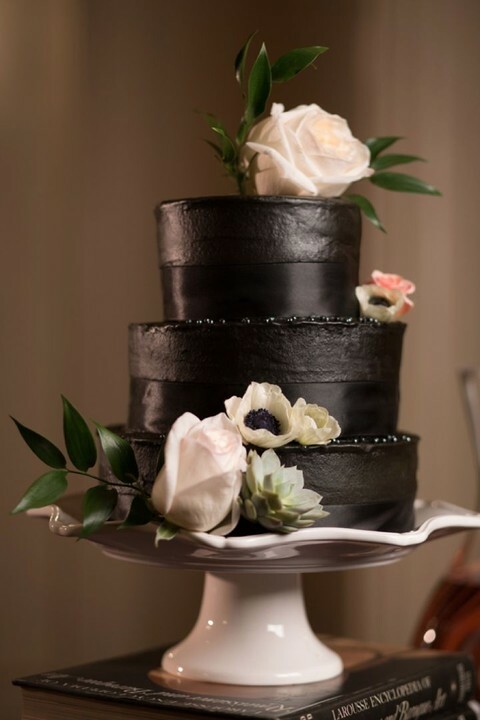 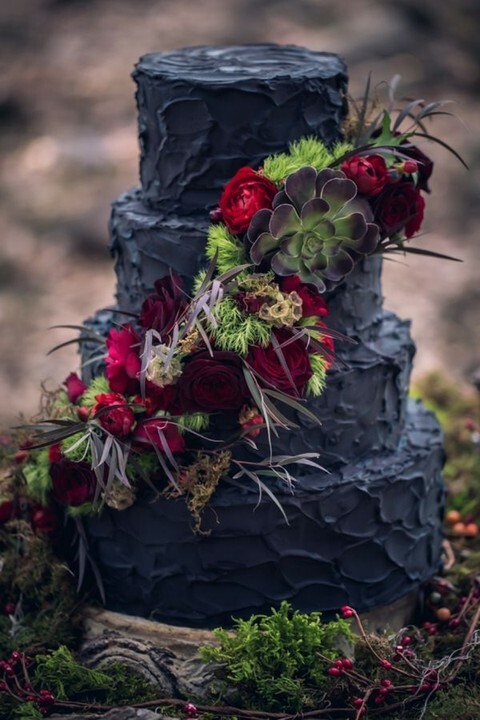 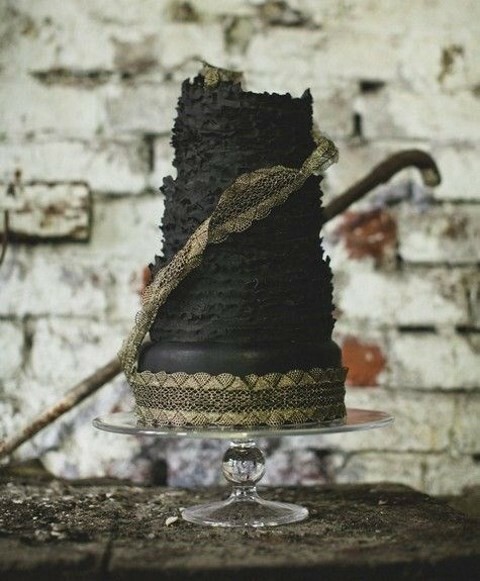 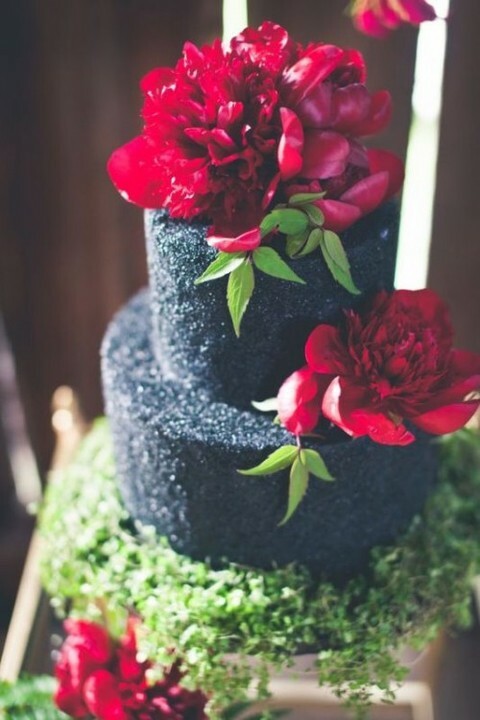 Yes, black wedding cakes are thought to be mostly Goth but, believe me, they can be glam, woodland and in many other styles – just as you like it. 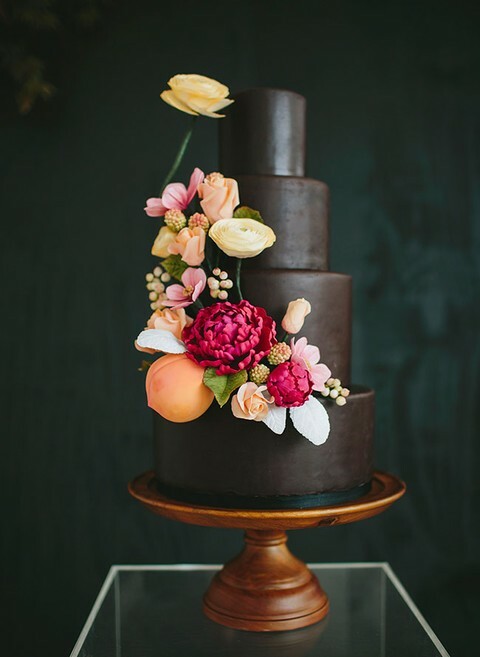 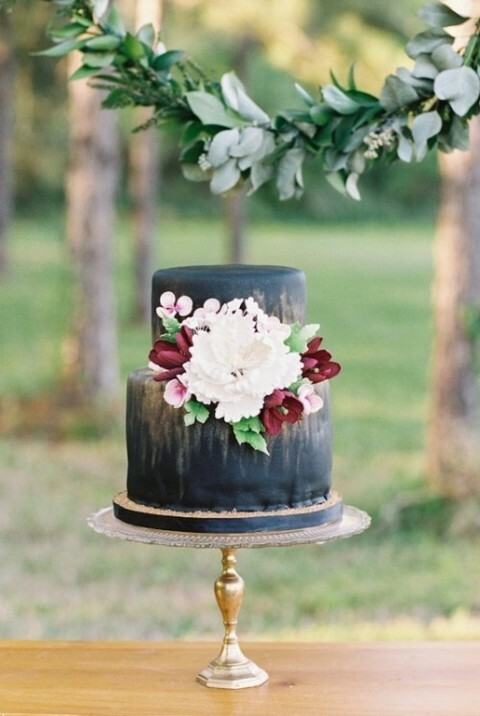 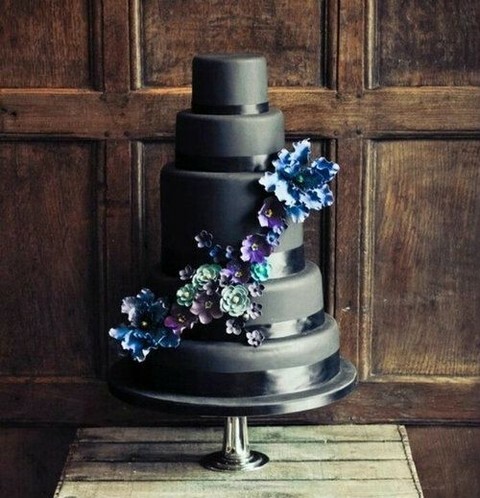 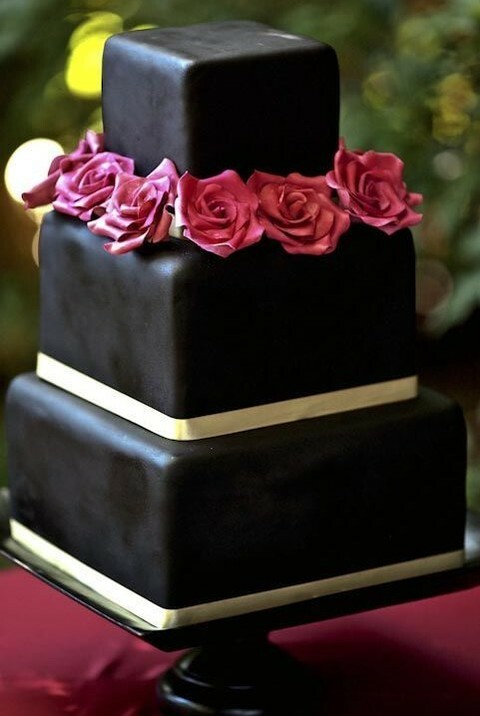 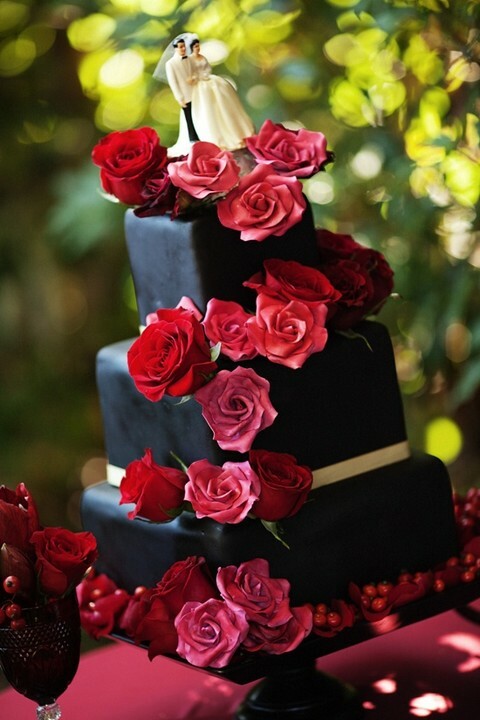 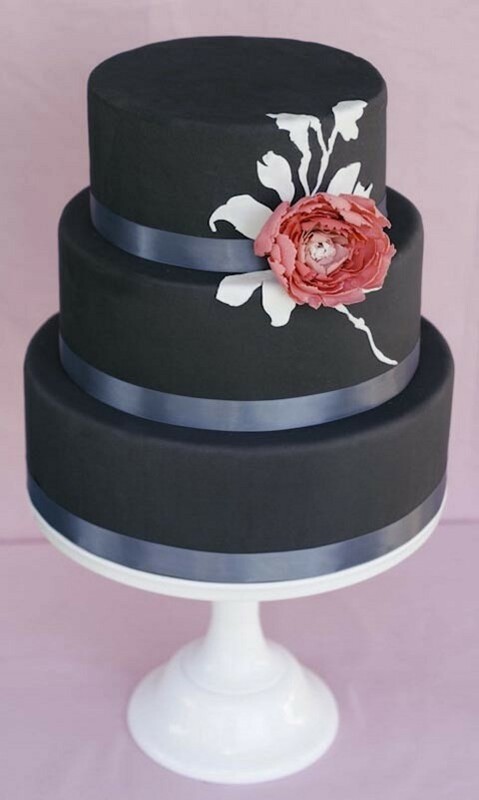 A black cake decorated with bright flowers looks stunning, dramatic and unforgettable! 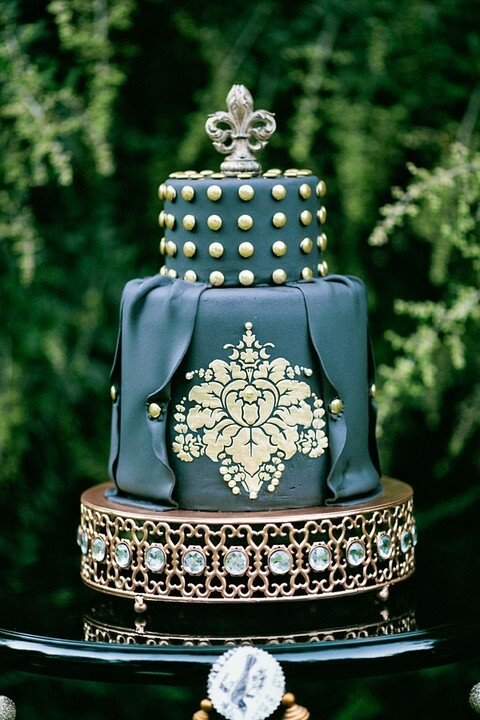 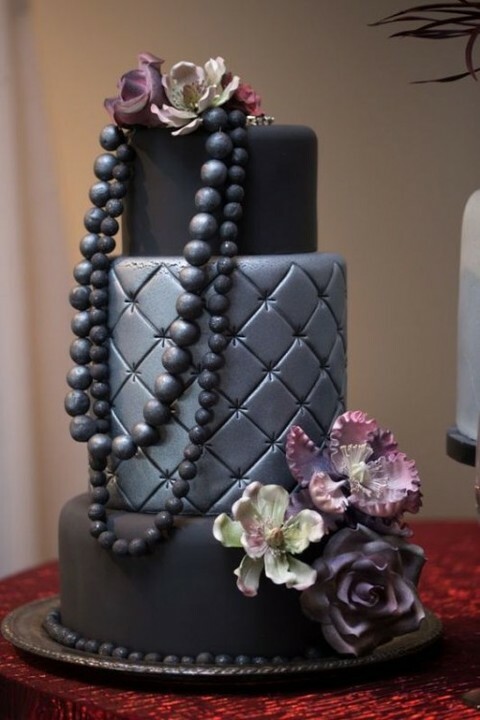 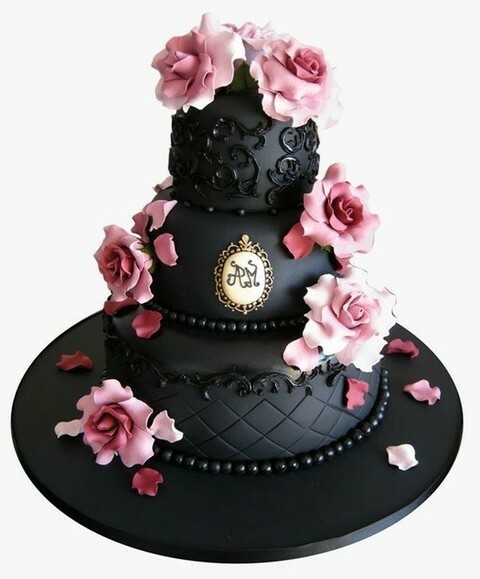 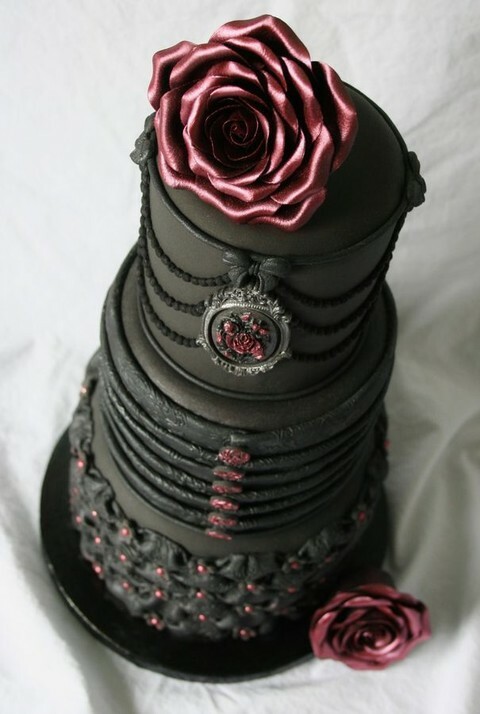 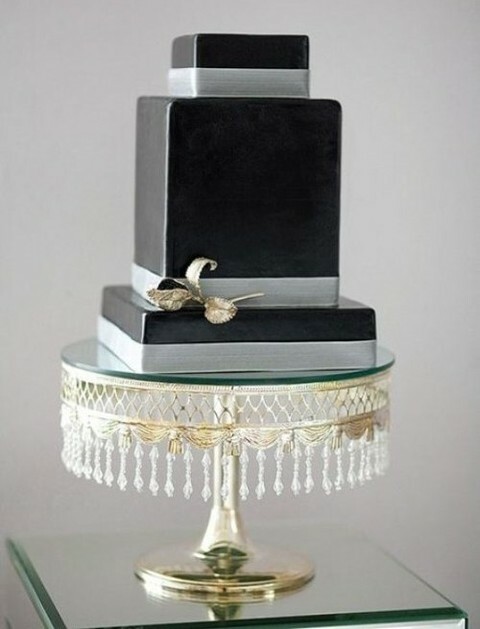 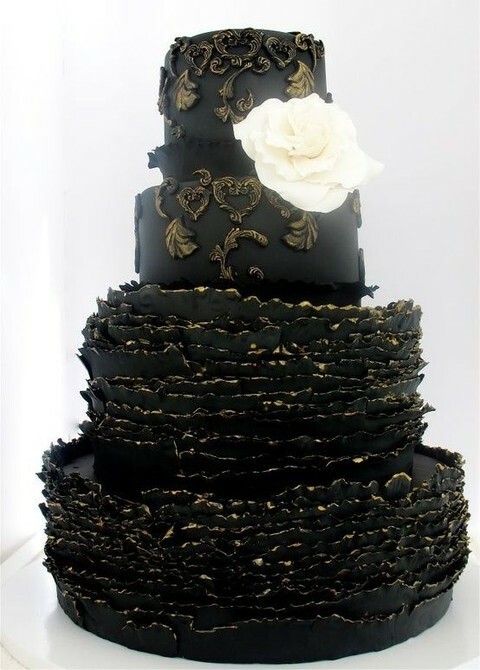 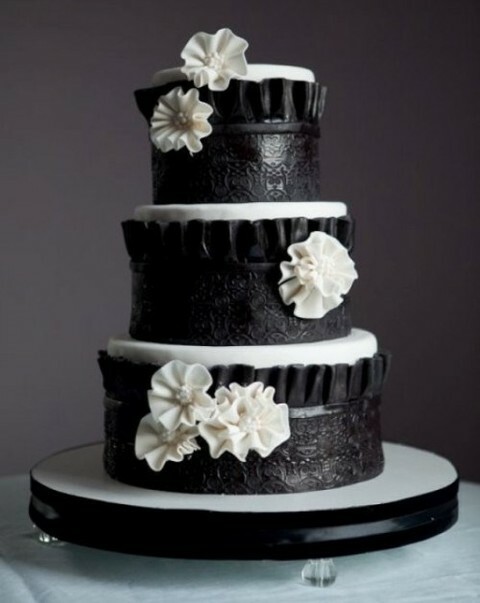 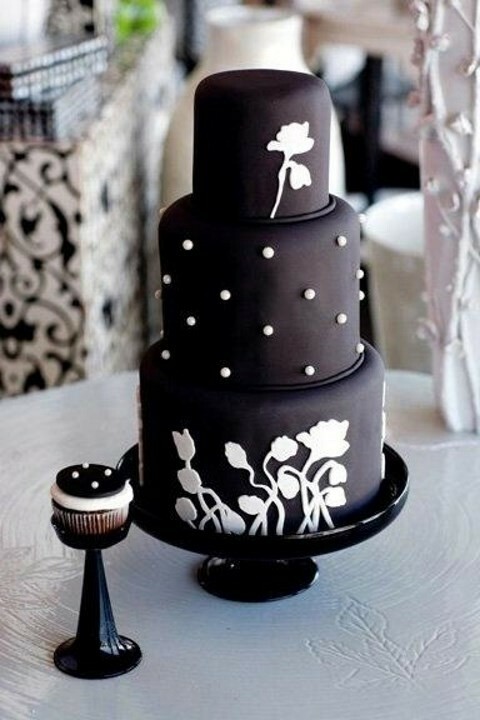 A black cake with lace, ribbon and rhinestones is a wonderful glam piece. 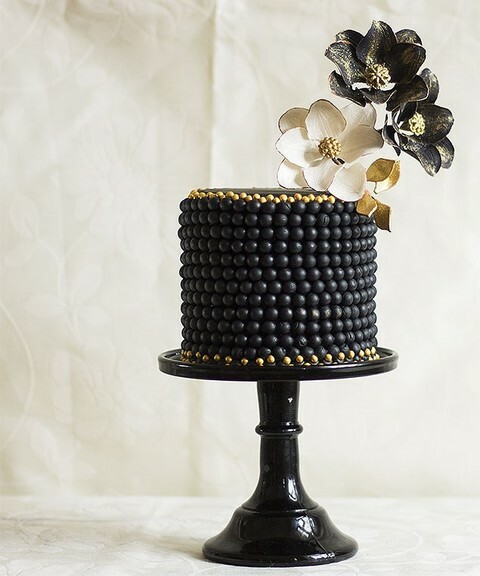 Black with gold décor looks adorable art-deco, chic and elegant. 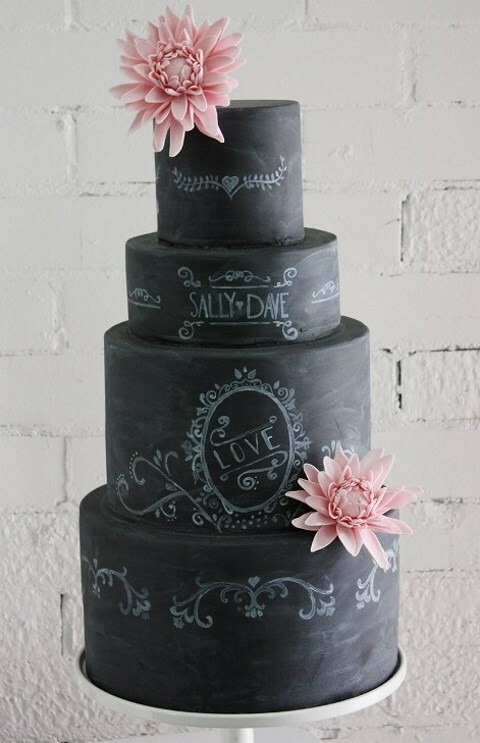 I just love chalkboard-inspired wedding cakes with the names written on them – they look just too cute! 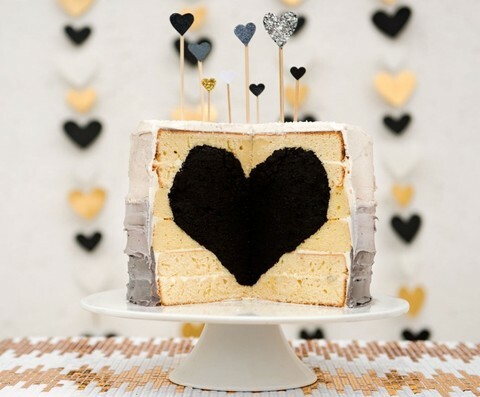 Look at the cakes I’ve gathered for you and tell me, which one admires you the most!